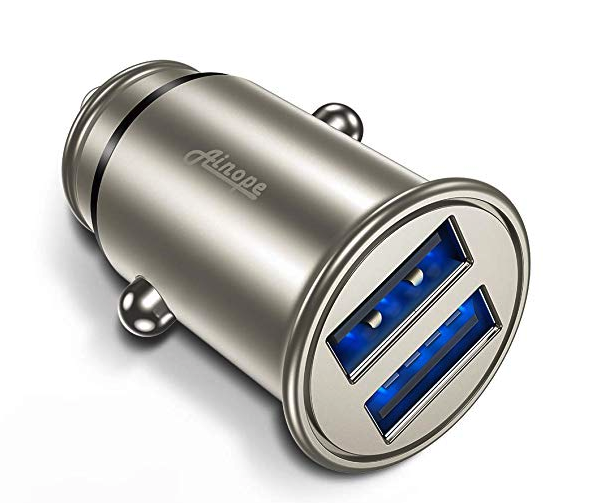 Needed to upgrade one of our USB car chargers and this stylish dual-port option was the winner, just beating out the black version of the same product. Nicely priced at $12.99. The single-port charger it replaced didn't seat itself down in the cigarette lighter as far, which this does, adding a nicer-looking touch in addition to its fast charging capabilities. Now our iPhone and Pixel 2 phones can charge up together.